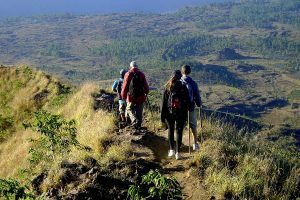 Bali’s Mount Batur Sunrise Trekking Tour is Adventure tour to perform climbing activities on Mount Batur with a view of the sunrise at the top of the mountain. Really pleasant sensation to fill the holiday in Bali with activities ascent. This tour focuses to see the sunrise, so trekking begins in the morning, while the shuttle hours differ – depending on where your hotel stay in Bali. The adventure begins when our shuttle driver at the hotel early morning and we headed straight to the starting point Mount Batur to meet with our trekking guide who had been waiting there. Arriving at the starting point you will be briefed safety briefing by our trekking guide. And the ascent begins, you will be guided by our experienced trekking guide, if you have any questions, you do not hesitate to ask for trekking guide. after arrive at the top you will see the spectacular view of the mountain and the sunrise. We will enjoy a light breakfast consisting of bread and eggs. You can take photos as satisfied as you are here, our guide will help you take a photo. After that the journey continues back to the starting point to meet with our driver waiting in the parking lot. And the journey continues to visit the coffee plantation to see the process of making coffee in traditional and try free tasting coffee provided and after that we pause in tegalalang rice terrace to see the paddy rice scenery is so beautiful. And the journey continues back to the hotel with the impressive memories. In adventure trekking we recommend to use shoes, because the track will pass a lot of rocks and gravel, and the air is very cold here, if you can bring a jacket and if it does not bring a jacket, here also there that rent jacket. Mount Batur volcano is one of the sacred mountain according to Hindu believe. Mount Batur is located in Batur village, Kintamani District, Bali, Indonesia. 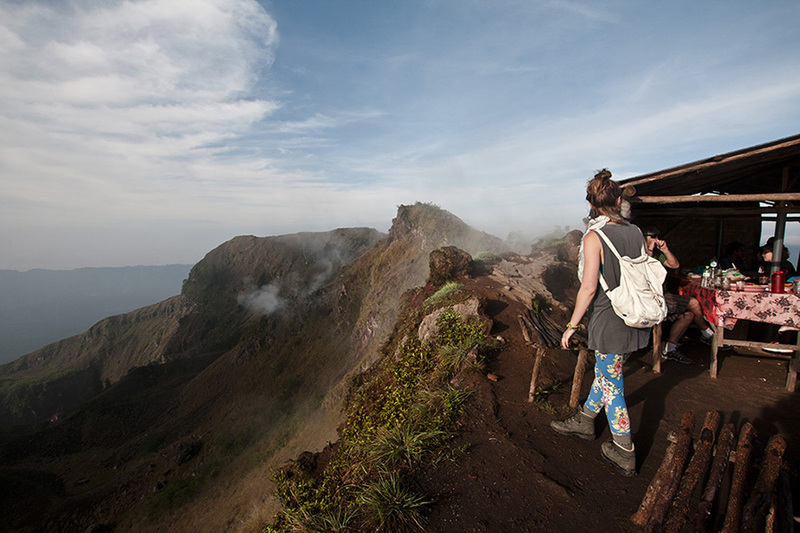 Mount Batur (Gunung Batur) is 1717 m above sea level can be summited by physically fit hikers in around 2 hours. 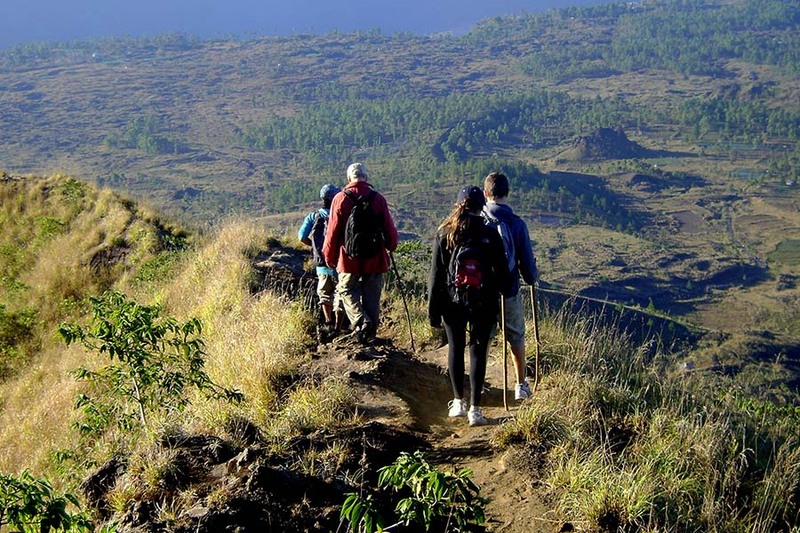 Mount Batur Bali is an active volcano that draws tourists to do Mount Batur Sunrise Trekking Tour. The main generally recorded emission of Batur was in 1804, and it has been habitually dynamic from that point forward. The significant magma field from the 1968 ejection is obvious today when seen from Kintamani, a town that straddles the southwest edge of the more prominent caldera. 04.00 : Begin our trekking to Mount Batur Bali. 04.20 : Continue trekking to the summit crater. 07.00 : Continue trekking around the entire crater and take picture as many as you like. 08.00 : Begin our descent to Finish point.